Staff will be available for new memberships, guest visits, and more. Your health and fitness evolution starts here, one bite at a time. Join Snap Fitness in April and get $100 off your fourth week of chef-prepared healthy meals! Enjoy high-quality, nutritious food made from the right ingredients. No cooking involved. By checking the box and thereby accepting these terms, you are enrolling in SMS texting services from Snap Fitness ("Snap Fitness", "we", or "us"). You will receive an initial message confirming your enrollment, which will include instructions on how to opt out of SMS texting services. You will not receive more than six (6) marketing-related messages per month. Your ability to enroll in the services is subject to the terms and conditions of your mobile carrier. Participation in the programs on this short code are standard rated (no premium content). 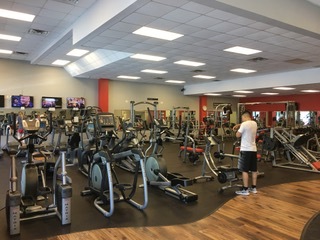 This means that Snap Fitness does not have a separate charge for this service; however, message and data rates may apply from your mobile carrier. By providing your consent to participate in this program, you approve any such charges from your mobile carrier. Charges for text messages may appear on your mobile phone bill or be deducted from your prepaid balance. The information in any message may be subject to certain time lags and/or delays. You are responsible for managing the types of SMS texts you receive. If you have any questions or need help, reply to any text message from us with the word HELP. To stop receiving text messages, reply to any text message from us with the any of the following words: STOP, STOP ALL, END, QUIT, CANCEL, UNSUBSCRIBE, or QUIT. By enrolling in the services, you consent that following such a request to unsubscribe, you will receive one (1) final message from Snap Fitness confirming that you have been inactivated in our system. Following such confirmation message, no additional text messages will be sent unless you re-activate your subscription. For other customer service inquiries please contact inquiries@snapfitness.com. 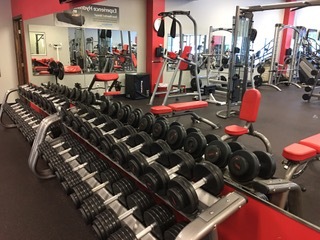 You may also visit https://www.liftbrands.com/email/unsubscribe/snapfitness to manage your email and text message preferences. Snap Fitness may use an “automatic telephone dialing system” (as defined by the Federal Communications Commission) to deliver text messages to you. 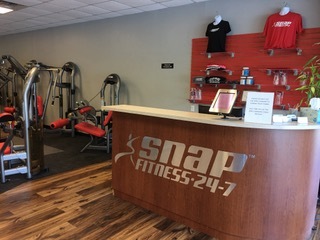 By enrolling in the services, you give your prior express written consent to Snap Fitness, its franchisees, and its affiliates to use an automatic telephone dialing system to deliver text messages to the telephone or cell phone number to which you have directed Snap Fitness to transmit these text messages. United States Participating Carriers Include: AT&T, Advantage Cellular (DTC Wireless), Aio Wireless, Alaska Communications Systems (ACS), Appalachian Wireless (EKN), Bluegrass Cellular, Boost Mobile, Carolina West Wireless, CellCom, Cellular One of East Central IL (ECIT), Cellular One of Northeast Arizona, Cellular One of Northeast Pennsylvania, Chariton Valley Cellular, Cricket, Coral Wireless (Mobi PCS), Cross, C-Spire (CellSouth), Duet IP (Maximum Communications New Core Wireless), Element Mobile (Flat Wireless), Epic Touch (Elkhart Telephone), GCI, Golden State, Google Voice, Hawkeye (Chat Mobility), Hawkeye (NW Missouri), Illinois Valley Cellular, Inland Cellular, iWireless (Iowa Wireless), Keystone Wireless (Immix Wireless/PC Man), Metro PCS, Mosaic (Consolidated or CTC Telecom), MTA Communications, MTPCS (Cellular One Nation), Nex-Tech Wireless, NTelos, Panhandle Communications, Peoples Wireless, Pine Cellular, Pioneer, Plateau (Texas RSA 3 Ltd), RINA, Sagebrush Cellular (Nemont), SI Wireless/Mobile Nation, Simmetry (TMP Corporation), SouthernLinc, Sprint, SRT Wireless, T-Mobile USA, Thumb Cellular, Union Wireless, United Wireless, U.S. Cellular, Verizon Wireless, Viaero Wireless, Virgin Mobile, and West Central (WCC or 5 Star Wireless). Additional carriers may be added. Canada Participating Carriers Include: Bell (including NorthernTel, Solo Mobile, and Telebec), Fido, MTS, Rogers, SaskTel, Telus (including Koodo Mobile and Public Mobile), Videotron, Virgin Mobile, and Wind. Additional carriers may be added. Questions, concerns, comments? We want to hear from you! Buy 12 months, get 6 free! From daily MYFIT workouts to group fitness classes and functional fitness training, Snap Fitness has the workout for you! Maximize fat burn, build and retain muscle, & increase efficiency. When you train with the best heart rate technology in the world, you can't help but get results! Amplify your efforts with Personal Training. For beginners to pros, we promise to give you a great workout, help you reach your goals, and keep you accountable and inspired along the way! Personal training services to get you started on a fitness program for better results!